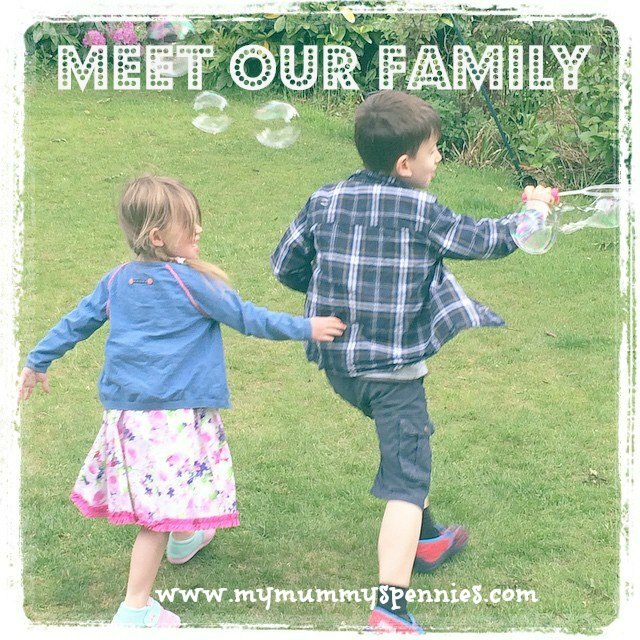 My Mummy's Pennies: ITFAB - Pirate Invitations Review! ITFAB - Pirate Invitations Review! As my regular readers will know my little boy turned four last week then started school this week! I can't believe he's growing up so quickly and I'm so nervous about him starting school so soon after turning four! I wanted to make this birthday really special for him so we had a 'Pirate' themed party! 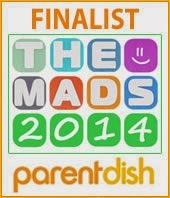 Thanks to Disney Junior's 'Jake and the Neverland Pirates', Ben is Pirate mad at the moment! I found some fabulous Pirate decorations at penny pinching prices from Wilkinson and discovered some great Pirate Party Games to Download from Disney Juniors Website. One thing I knew I had to sort out early was the invitations. So I was very pleased when the lovely folks at ITFAP (It's Time For A Party) gave us the opportunity to choose a pack of their fabulous personalised invitations to review! ITFAP sell personalised Invitations and Cards for all celebrations, they have themes and colours to suit all ages and offer Free UK Delivery and Free Envelopes with every order! Their site had a great selection but as soon as I saw the pirate one's I knew they were perfect for Ben! The order process was really simple and easy! You choose the design you want, go through the checkout process and they send you an email to confirm. You then just reply to this with your chosen design and the details of your party. They then personalise the design with your party details and email a 'proof' for you to check! All these emails were exchanged within a couple of hours and the invitations arrived just two days later! They were well packaged, printed on good quality card and looked great! We received a pack of 12 personalised A6 postcard style invitations with good quality envelopes, these would cost just £4 with FREE UK delivery to purchase! That's at least what you would pay in most card shops for a pack of generic invitations that just don't compare! 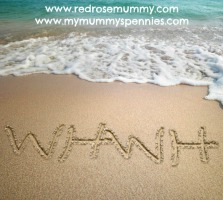 A real 'Mummy Saving Buy!' And what is also great is you save time by not having to write the details out on each card as they're already printed! Just pop them in the envelopes and add an address if needed! The pictures were lovely and detailed and the design was bright and colourful, really appealing to my almost four year old! 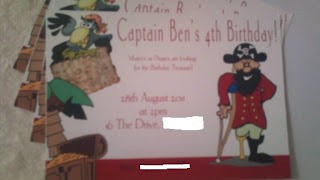 He loved that they said 'Captain Ben's 4th Birthday!' at the top and went round for days after seeing them proudly saying, 'I'm Captain Ben!!' 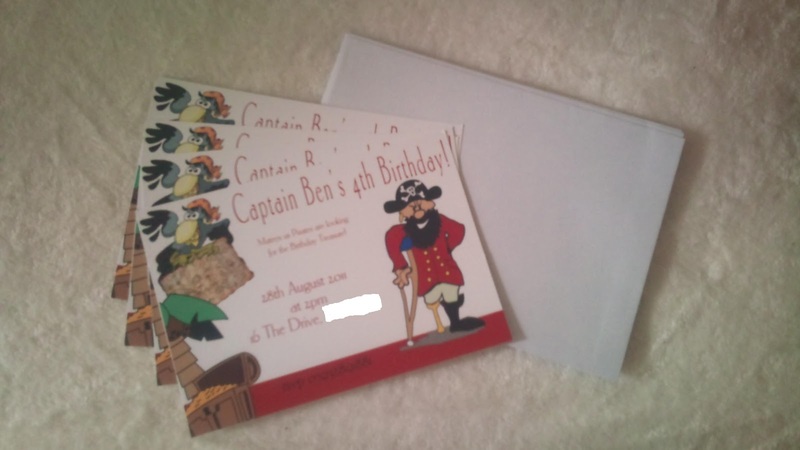 Once he saw them he couldn't wait to get them sent out to everyone to invite them to his pirate party! We all had a lovely time at the party and Ben really enjoyed himself! I had lot's of nice comments about the invitations, saying how lovely and professional they looked, and everyone was pleasantly surprised when I revealed how little they would cost! I would recommend using ITFAP to anyone who needs invitations for a birthday or occasion or even announcement cards for a new baby! They offer a friendly and professional service that is fantastic value for money! These Invitations really do have that extra special touch and are very competitively priced! They also have personalised photo cards available from just £4.20 for 12! To view the full collection and choose which cards you want for your next special occasion check out their website http://www.itfap.co.uk/! You can also follow ITFAP on Twitter http://twitter.com/ITFAP and on facebook http://www.facebook.com/pages/ITFAP/279751688717753 to be kept up to date with the latest news and offers!